Welcome to the Dollhouse – This movie is sad as crap. Really. It’s just sad. It only seems fitting that this guy would direct it. 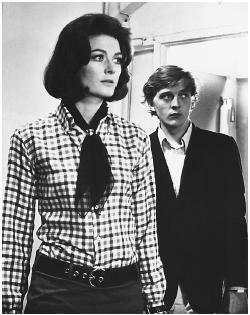 Blowup – This film was shot very well, and had some interesting moments. I was taking back by how attractive Vanessa Redgrave was back in the day. Compare this Redgrave to this one. Blowup was actually quite disappointing after watching L’avventura, but at least I understand Austin Powers better now. Miller’s Crossing – This flick was just a very solid movie. I have no complaints. I always enjoy a Coen brother’s film, and this was no exception. I went a little crazy this week at the library. School’s out for the summer, and not a final too soon. It’s been far too long since I’ve seen that movie!